Home remodeling experts have calculated that the average man or woman will spend more than 1 year and 7 months in the bathroom. Given this amount of time, bathroom makeovers can have a tremendous impact on your life. Discover the top benefits of starting a bathroom remodeling project. Have you ever noticed how old houses seem so cramped? Were people smaller back then? Nowadays, you need more space and bathroom remodels can provide that, in abundance. Just imagine how much faster you could prepare for the day ahead with a modern light fixture. You might be amazed at what can be achieved. Ask our lighting experts about what can be accomplished with a bathroom lighting remodel. Can your wife reach all of her makeup while preparing in her powder room? Could the lighting be improved with more mirrors from different angles? Create a modern powder room for all the females of your family. How old is your toilet sink? On average, your porcelain toilet will last a minimum number of 15 years with 30 years being the maximum. You might want to change them both at the same time to maintain unified home décor. Senior citizens might want a walk-in shower stall that makes it easier on their joints. The disabled could also use hand-rails to prevent falls. Improve bathroom safety with a comprehensive remodel. The remodeling process begins when we discuss your present bathroom arrangements. Many older homes have small bathrooms that were merely an afterthought. We can discuss how to increase your square footage, especially for a growing family. Next, we will look at different design floor plans, fixtures and how our remodeling services can achieve these goals. Ask us any questions. We have 4 decades in the home remodeling industry and look forward to sharing our insight with you. Let us create a great modern bathroom together. Of course, your bathroom is very important for cleaning and preparing for each new day. A bathroom makeover is not only well worth the investment in terms of providing more convenience and comfort, but also in increasing your home value. Every $10 spent on your bathroom can increase your overall home value by $7, according to well-established home improvement cost value statistics. We, at Toledo New Bath, have an A+ Better Business Bureau (BBB) rating. One of our friendly, experienced sales consultants will provide you with a FREE, no pressure consultation. 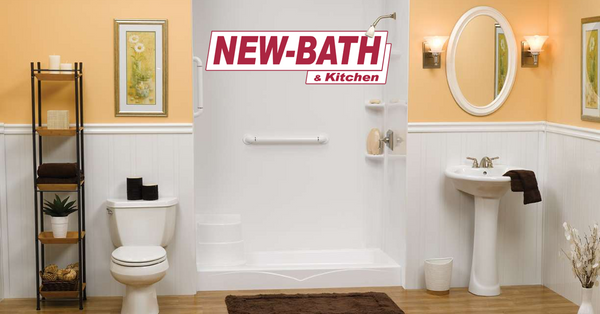 Call us today at Toledo New Bath. Improve your comfort, convenience and safety with a stunning bathroom remodeling project.